Intramuscular Stimulation (IMS) is the treatment of chronic pain of neuropathic origin using an acupuncture needle to stimulate a muscle. Chronic pain of musculoskeletal origin is often the result of shortened muscle(s). These shortened muscles can result in pain locally in the involved muscle(s) and/or at the joint(s) that those muscles affect or move. 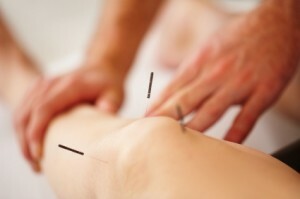 IMS will “relax” the shortened muscle(s) by local needle stimulation as well as heal or normalize the nerve pathways. The goal is to release tight muscles which can press on and irritate nerves. This technique can be very effective in promoting long term relief in chronically tight and painful muscles. IMS relies heavily on a thorough physical examination of the patient by a specially trained and licenced practitioner. Appointments always available! To book an Intramuscular Stimulation appointment, please contact Bonavista Physical Therapy in Calgary.